Revenue in the Dolls & Stuffed Toys segment amounts to US$6,789m in 2019. The market is expected to grow annually by 0.8% (CAGR 2019-2023). In global comparison, most revenue is generated in China (US$9,068m in 2019). In relation to total population figures, per person revenues of US$8.98 are generated in 2019. The Dolls and Stuffed Toys market consists of baby dolls, action figures, robots and other dolls, plush and stuffed toys, like teddy bears, as well parts and accessories sold with them (moving mechanisms, wigs, clothing, shoes and hats, feeding bottles, etc.). Big brand names in this section are Barbie, POP, Steiff, etc. Accessories that are sold separately (e.g. additional outfits, etc.) are included in a different market segment. 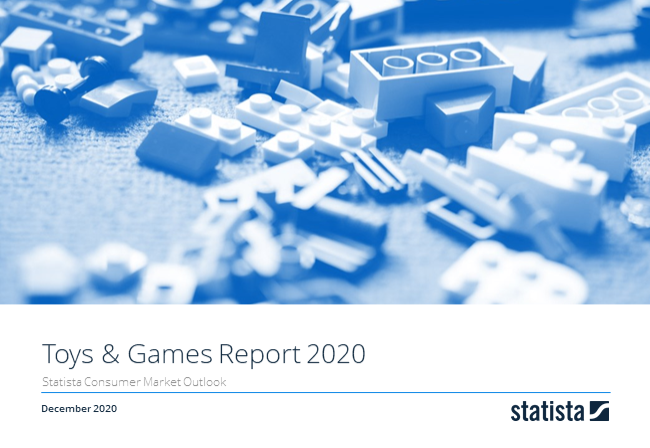 Reading Support Revenue in the Dolls & Stuffed Toys segment amounts to US$6,789m in 2019. Reading Support The Dolls & Stuffed Toys segment is expected to show a revenue growth of 0.1% in 2020. Reading Support The average revenue per person in the market for Dolls & Stuffed Toys amounts to US$8.98 in 2019. Reading Support With a market volume of US$9,068m in 2019, most revenue is generated in China. Here you can find more studies and statistics about "Dolls & Stuffed Toys".